يقع فندق Econo Lodge Moree Spa Motor Inn، المصمم ليناسب كل الضيوف سواء كانوا من رجال الأعمال أو السياح، في مكان ممتاز في أحد أكثر المناطق تفضيلاً في هذه المنطقة. يقع الفندق على بعد 1.0 Km من مركز المدينة، ويؤمن الوصول إلى أهم مراكز المدينة. يقع هذا الفندق الحديث على مسافة قريبة من المعالم السياحية الشهيرة. يعمل Econo Lodge Moree Spa Motor Inn على ضمان إقامة مريحة لضيوفه من خلال خدماته الممتازة وحسن ضيافته. يمكن للنزلاء الاستمتاع بالميزات التالية: واي فاي مجاني في جميع الغرف, خدمة التنظيف يوميًا, تخزين الأمتعة, واي فاي في المناطق العامة, صف السيارات أثناء إقامتهم في هذا المكان الرائع. تتضمن كل غرف النزلاء وسائل الراحة والتسلية المصممة خصيصاً لضمان الراحة القصوى للضيوف. يمكنك طلب اللائحة الكاملة للخدمات في الفندق ومن بينها حمام سباحة خارجي. 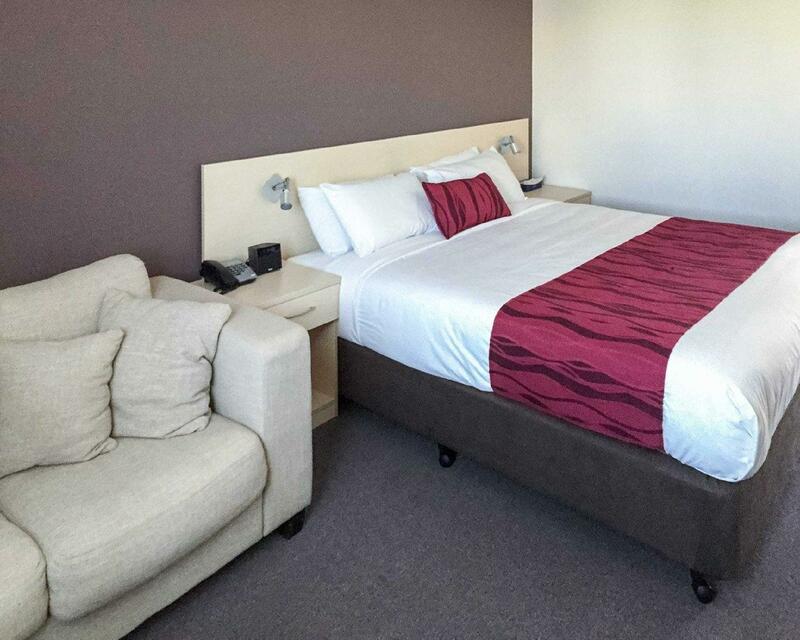 إن Econo Lodge Moree Spa Motor Inn هو خيارك لخدمة الفنادق الراقية في المدينة. 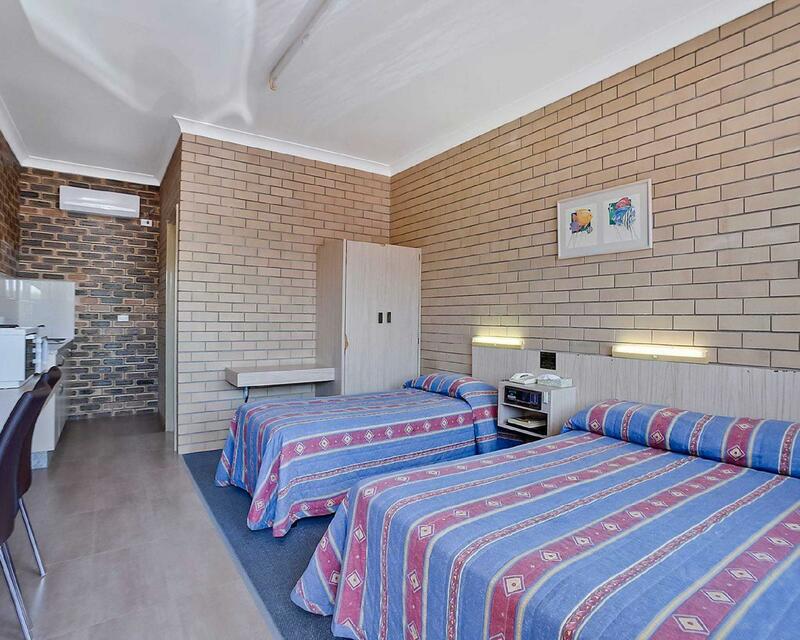 Motel is very convenient for those visiting Moree via the train, is an easy five minute stroll from the station. Check-in was fast and easy, free wi-fi is available although I noted it is limited to 500MB per room per day which is a bit average. Motel is well presented, plenty of parking, pool was a very nice temperature and very clean. If you don't have a car, it's a bit far to bother walking anywhere to get food, we just got pizza delivered. 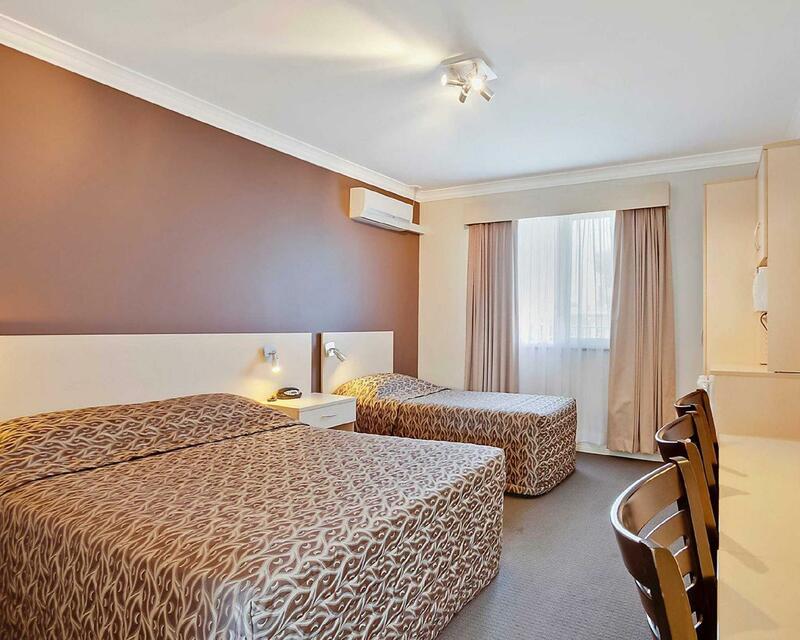 Rooms are well sound proofed, comfortable beds, only downside was the fluro lights in the room were a bit clinical, also has easy to change TV antenna cord in the roof if you're visiting with the intention of recording regional television. 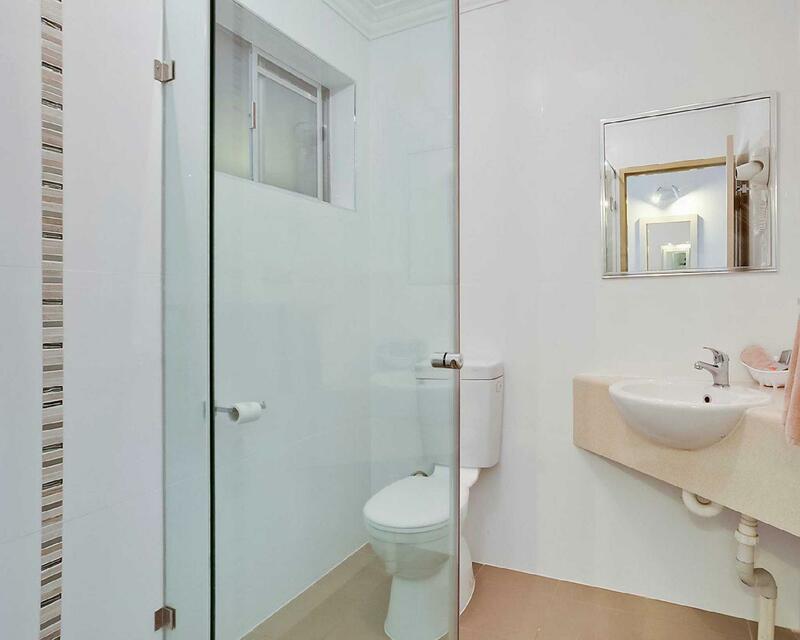 Close to pool, close to our exit from city and extra room next to ours available for us. Not very good. Room adequate, but other persons staying in a few rooms were having a very noisy party and fighting and swearing etc. Management/Staff did nothing. Very poor would not recommend or stay again. Staff was very friendly, very happy to stay again ,very close to spa and highways. The best hotel in Moree as I stayed few other in Moree. Staff was very nice helpful. Nice motel. Big Room! Fully appointed. Everything there. On main road out of town which I like. Clean and well maintained. No complaints whatsoever.